In The United States of America, 4 out of every 100,000 children are born with a genetically acquired condition known as 'Usher Syndrome'. The symptoms of usher syndrome include- Retinits pigmentosa, hearing loss or deafness and balance problems. There is a 1 in 4 chance for a child to born with this recessive genetic disorder when both parents are carriers of the same mutated gene. As identified by the scientists, there are 3 types of this disorder with varied levels of severity. Type 1- Kids born with Type 1 disorder are profoundly deaf at birth, suffer from severe balance problems. Unlike normal kids they are unable to sit on their own until the age of 1.5 yr. They are also likely to develop problems with vision until the age of 10. 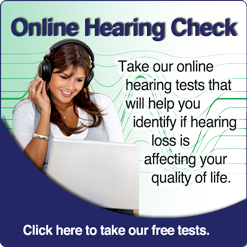 Type 2- The degree of severity varies from moderate to severe hearing loss. Children born with this disorder do not suffer from balance problems like Type 1. Hearing aids are more likely to mitigate the effects of hearing loss for these children. Vision problems are more likely to develop very slowly. 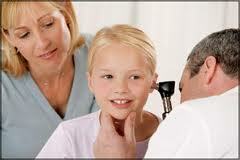 Type 3- Children with this disorder have normal hearing at birth. A person suffering with this hearing loss doesn't show any early signs of deteriorating hearing or vision, but they tend to lose hearing by the teens. The person loses the vision by mid adulthood.